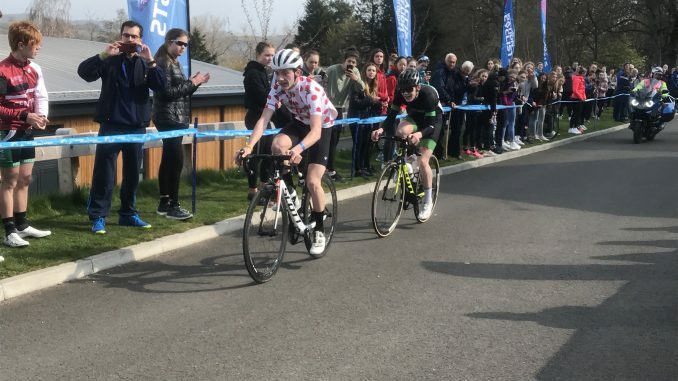 In another busy weekend, six Welwyn Wheelers youths travelled to Perth in Scotland to compete in the Youth Tour of Scotland – with 20 teams of 8 riders (4 boys 4 girls) taking part over three days of fast intensive racing. Joe Kiely, Euan Woodliffe, Ellen Bennett, Ella Coleman and Iona Moir were selected to ride for BC Eastern Region, while Nathan Hardy rode for Central Region. Joe in particular was in fantastic form leading the King of the Mountains competition from start to finish, and winning the final stage from a 2-man break to finish 2nd overall. The Eastern girls team were placed 4th out of 20 teams. In other news, a number of the mountain bikers got their best results of the season so far with Mark Lightfoot winning his race at MSG round 3, and Andrew Knott also picked up his first Regional points of the season at Lea Valley. This weekend will see the start of the 2019 Regional Youth Omnium track series where a number of the Wheelers will be starring at the Herne Hill track.